Week one of the K-League One brought us cheers, beers and one or two surprises as the long cold months of the close season were finally consigned to memory and the prospect of another great season of K-League football finally realized….well for some of us anyway! One of the biggest surprises of the opening weekend was down in Jeonju as Champions Jeonbuk were held to a 1-1 draw with FA Cup winners Daegu. It was the visitors who scored the first goal of 2019 as Edgar Silva netted midway through the first half. 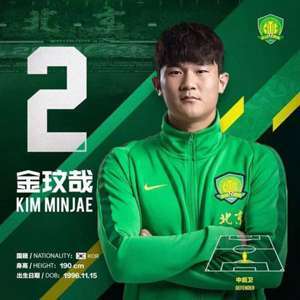 Granted it was a short-lived lead as Jeonbuk leveled things 6 minutes later but as their 3-1 midweek Asian Champions League victory in Melbourne showed, Daegu are potentially the team to watch this year and it makes you wonder why some of the “bigger” teams never looked at Andre to fill their vacant manager’s posts recently. Daegu welcome Jeju to town who came back from an almost full Incheon Stadium last Saturday with a 1-1 draw (of course Momoland had nothing to do with that spike in attendance). Elsewhere on Saturday Gyeongnam travel to Incheon as they continued their good 2018 form into 2019 by first beating Seongnam at home before then going on to earn a more than credible draw against Graziano Pelle’s Shandong team in their first ever Asian Champions League match. Incheon United came back from a goal down against Jeju United in front of a bumper crowd of over 18,500, a Stefan Mugosa penalty enough to give them a share of the spoils, and will be hoping to keep both their home record and some of those fans this weekend. The final match on Saturday sees Bluewings host Jeonbuk on the back of a 2-1 defeat down in Ulsan. Adam Taggart scored a debut goal to give them a glimmer of hope in a match that Ulsan were very much in control of throughout, so much so that goalkeeper Kim Da-sol, also making his debut, was the Man of the Match. Jeonbuk, having failing to earn new coach Jose Morais a league debut win, defeated Bejing Guoan 3-1 on Wednesday in their Group G ACL match amid some rather passionate goal celebrations from the coaching staff. Sunday’s games will see a return to an old favourite of us K-League ‘oldies’ as Seongnam FC will play their opening matches in Seongnam Sports Complex for the first few months of the season. 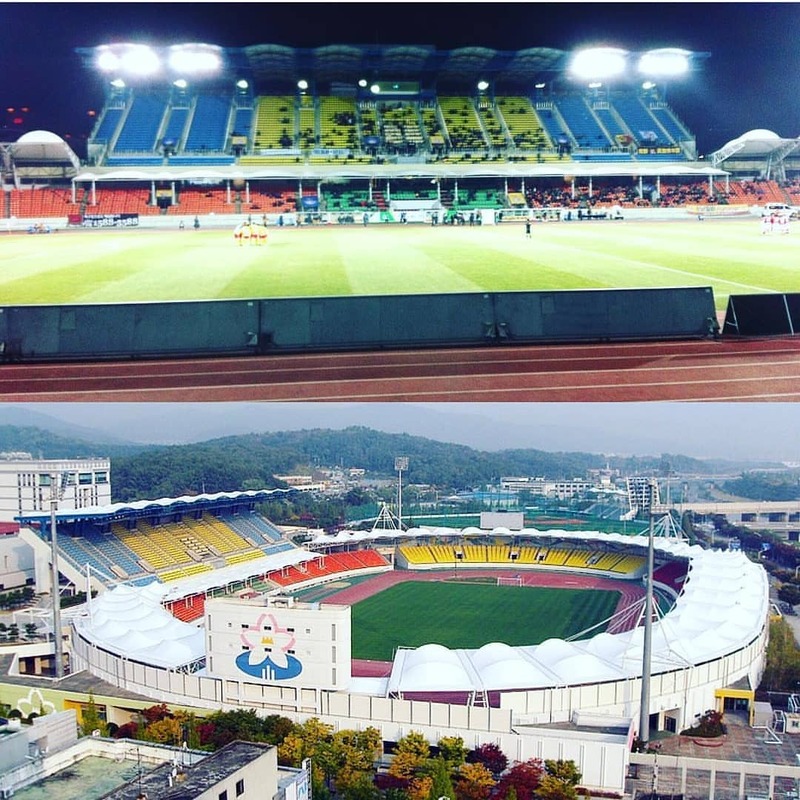 The move is partly due to renovations taking place at Tancheon and also to help boost the local community in the area surround Moran which served as Seongnam’s home in the early 2000’s. Seongnam didn’t get off to the best of starts on the opening day as they rather meekly lost to Gyeongnam, but there was some positive to be taken from the flowing passing movement that led to their consolation goal. The first team to visit in the 2019 season will be FC Seoul who swept aside Pohang Steelers last week courtesy of two first half goals from Hwang Hyun-soo. Also on Sunday we have Pohang Steelers hoping to bounce back from that defeat in Seoul as they host Sangju Sangmu who defeated Gangwon 2-0 with Yoon Bitgaram and Park Yong-ji on the scoresheet. The final fixture of the weekend sees Ulsan hoping to make it four games unbeaten in all competitions as they travel back from Sydney with a 0-0 draw in the bag. They looked impressive last weekend against Suwon Buewiings and do look like genuine challengers with players like Junior Negao and Mix Diskerud able to make the difference.